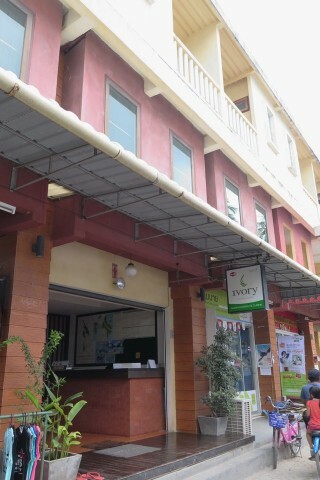 Conveniently located straight across from the market in the centre of Ton Sai village, Ivory has no-nonsense air-con rooms with TV, minibar and free WiFi. Average rating 7.5 from 770 reviews. This is a functional, clean mini-hotel and it delivers the goods. There’s no lashings of style, but the staff are friendly and it appears to be quite popular since it was full during our latest visit and we were unable to see a room. Location is great for cheap Thai snacks at the market opposite but you’re a good 5-10 minute walk from the beach. Reservations recommended year round. Last updated on 3rd February, 2016.